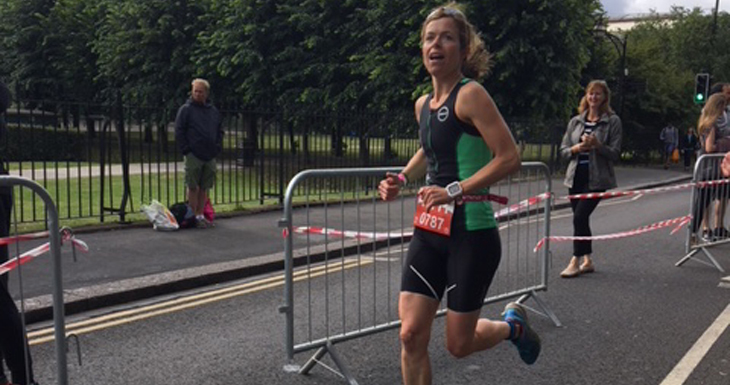 Home / Blog • Headline / Windsor Triathlon, Race to the Bill, and more…..
Windsor Triathlon, Race to the Bill, and more…..
George in his 2nd week in a row (out of three, another one next week!) lined up at his local Race to the Bill Olympic Distance Triathlon. This was always a training race, and yet again he put in a great race. 4th overall 3rd in his age group, with a blistering 35 mins run 1.09 bike and 24min swim whilst being cautious with a niggling shoulder injury. Hopefully the shoulder is well on its way to full recovery in time for Leeds Olympic next weekend, which is another ITU qualifying event for Luasanne 2019. We also had a few Race for life events, and Liza posted a pb in the 5k event, after a week of solid training, and Terri, with her team of runners from her school had a great day out, running the longer 10k event. This is a great achievement as due to a persistent ankle injury, running has been relatively limited, but it shows that the hard work on the turbo is definitely paying off in building the aerobic engine.